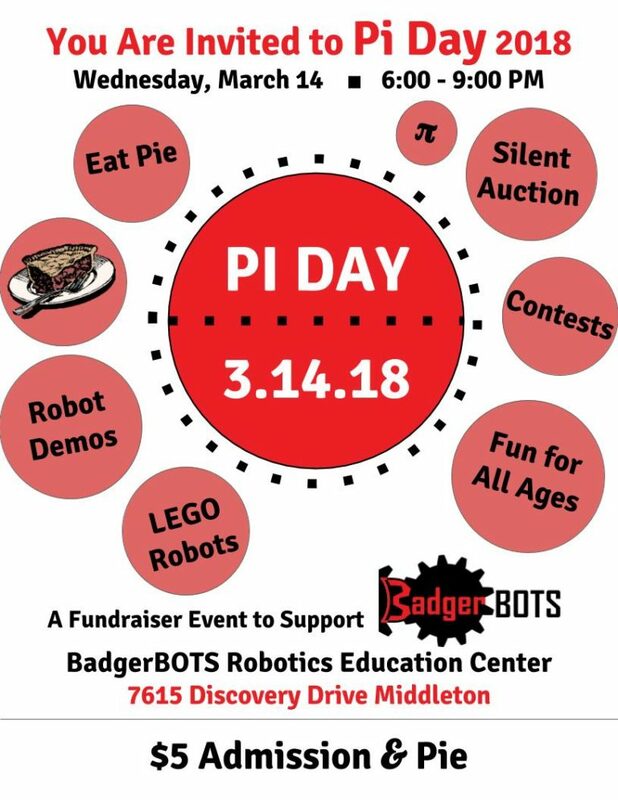 Join FRC team 1306, FTC, and FLL teams at the BadgerBOTS Education center for pie and fun on 3/14/2018! We are excited to invite you to this event! There is still time to donate for our silent auction!